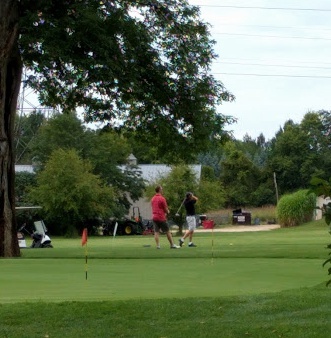 Chemo Cargo's Sixth Annual Golf Play Day was a great way to end the summer! 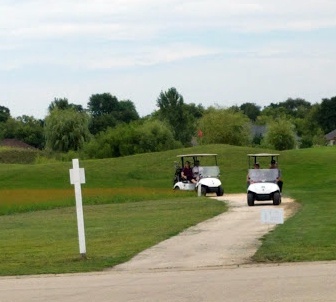 Although overcast, the temperature was great. 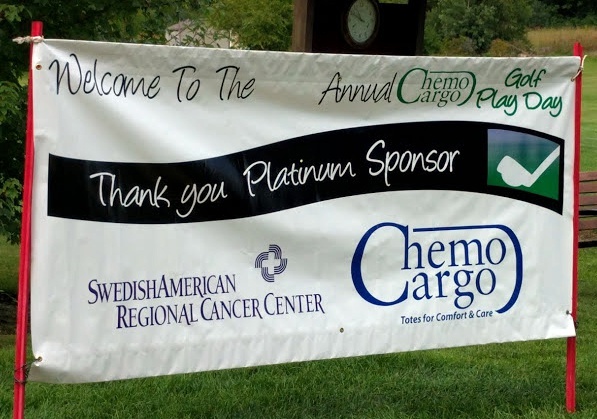 The event raised approximately $4,000, which will provide about 125 totes to chemo patients in the stateline. Huge thanks go out to our sponsors! 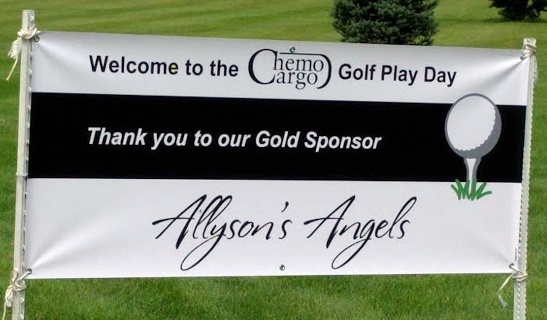 Where and when you're able, please support these companies and individuals that support Chemo Cargo. 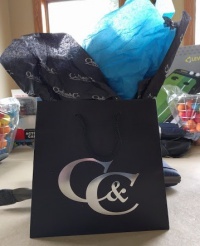 Women's Longest Drive prize donated by Clodius & Company Jewelers. 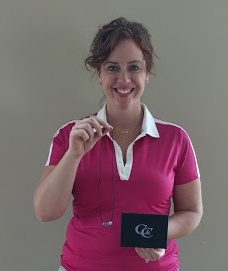 Erin Wilcoxen holds the beautiful charm necklace she won for the Women's Longest Drive.